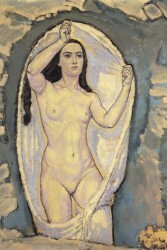 On the occasion of the 100th anniversary of the death of one of the great visionaries of Viennese Modernism, Koloman Moser, both the MAK-Austrian Museum of Applied Arts and the Theatermuseum pay tribute to his work. Both exhibitions can be seen until April. 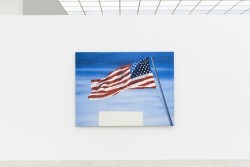 Ed Ruscha at the Vienna Secession - "Double Americanisms"
American artist associated with the pop art movement, Edward Joseph Ruscha had a decisive influence on the development of art in the USA from the 1950s onwards and with it on the current understanding of contemporary art. The exhibition at the Vienna Secession shows fifty-seven of his works. It marks the public debut of a new series of linguistic paintings. Used parchment drumheads are inscribed with locutions whose shared feature is the use of a double negation - "I Ain't Telling You No Lie," for example, and "I Can't Find My Keys Nowhere."